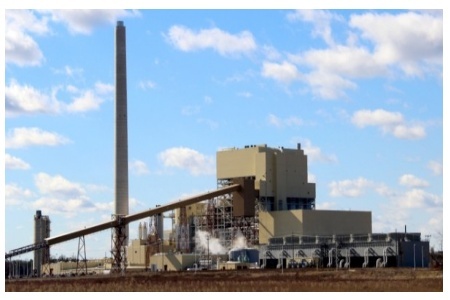 The John W. Turk Jr. Power Plant in Fulton, Arkansas, went into commercial operation Dec. 20, 2012, just four months after its first fire – several months faster than is typical for a new coal plant. Advanced control and simulation technologies from Emerson Process Management were key factors contributing to this significant achievement. Emerson Process Management, an Emerson business, is a leader in helping businesses automate their production, processing and distribution in the power, water and wastewater treatment, chemical, oil and gas, refining, pulp and paper, mining and metals, food and beverage, life sciences and other industries. Emerson brands include PlantWeb, Ovation, SmartProcess, SureService, Syncade, DeltaV, Fisher, Bettis, Micro Motion, Rosemount, Daniel, and AMS Suite. For more information, visit www.EmersonProcess.com. Emerson, based in St. Louis, Missouri (USA), is a global leader in bringing technology and engineering together to provide innovative solutions for customers in industrial, commercial, and consumer markets around the world. The company is comprised of five business segments: Process Management, Industrial Automation, Network Power, Climate Technologies, and Commercial & Residential Solutions.Sales in fiscal 2012 were $24.4B. For more information, visit www.Emerson.com. Ovation, SureService, SmartProcess, PlantWeb, Syncade, Fisher, Micro Motion, Rosemount, Daniel and DeltaV are marks owned by one of the Emerson Process Management legal entities. Other marks are the property of their respective owners. Emersontechnologies were instrumental in slashing the time required for commercialization and training new operations staff at the John W. Turk Jr. Power Plant. The 600-MW plant is the first ultra-supercritical power plant built in the United States.